Our ground-breaking DRILL Programme is now well underway as we announce the latest tranche of projects awarded £1 million in total as well as the call for the second round of proposals to fill some of the research gaps and identify solutions to barriers faced by disabled people in achieving independent living. We have been thrilled by the sheer number and quality of proposals (over 200) received from across the UK for research and pilot projects led by disabled people, in co-production with research experts. This demonstrates an appetite amongst disabled people to build our own knowledge and test innovations to enable disabled people to participate fully in society. 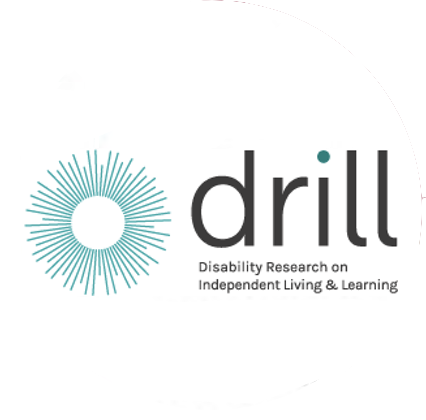 DRILL funded projects enable disabled people pose the research questions and co-design the whole approach, with research partners. The questions disabled people put are simply not the same as those often asked by academics and professionals. DRILL’s research will reveal new knowledge, new insights, that could lead to new solutions and new ways of doing things that will make a real difference to disabled people’s lives in the UK. For example, disabled people are consumers with cash to spend and will want to ensure that purchases are good value as well as meeting their requirements. The project Rate it! to be delivered by lead partner Research Institute for Consumer Affairs (RICA) will involve disabled people in producing product reviews, offering a peer perspective. Several of the projects funded relate to independent living at different points in the life cycle. The University of Coventry leads on a project to define quality and rights-based Education, Health and Care Plans (EHCPs) for disabled young people whilst Wiltshire CIL’s project ImaYDiT will explore the transition from childhood to adulthood. Horizon Housing in Scotland’s initiative Match Me will look at the rented accommodation needs of disabled people whilst the University of Stirling will research the costs and benefits of good self-directed support. Support for disabled parents will be investigated by the University of Bedfordshire and partners. Given the topicality of tackling the disability employment gap, the DRILL portfolio now includes some innovative projects focussing on barriers to the job market. These include CHANGE’s research into employing peer support workers with learning difficulties in services to people with learning difficulties; Sheffield Occupational Health Advisory Service’s project to explore employer perceptions on barriers to work; and Cardiff University’s research – Legally Disabled? – into the specific barriers to disabled people’s employment in the legal profession. We are particularly glad to have funded projects that are led or co-led by people who often have little or no voice at all. These include: research led by Praxis in Northern Ireland into the experiences of people with mental health issues and intellectual disabilities regarding decision making processes; and the University of Glasgow’s initiative to examine barriers faced by people with autism. Together with the ten small project and fast-track grants awarded in 2016, DRILL’s portfolio now consists of 21 projects totalling £1.5m. Competition has been fierce and we know that there will have been disappointment among bidders who were not successful this time. We are delighted to announce therefore that there is another opportunity to apply for funding. Based on the projects funded to date, we have identified several gaps so this time we will be particularly interested in proposals that seek solutions in specific areas. Full details can be found in the Guidance. Most importantly we are looking to fund projects that have been developed in coproduction with people with lived experience of disability or long-term health conditions. We want the DRILL Programme to include a wide range of different experiences and perspectives. We are keen to fund a range of projects which tap into the diversity of people and experiences in the UK. Over and above the findings and recommendations that all DRILL projects will generate, is the legacy we aim to achieve in linking Disabled People’s Organisations with researchers. For the first time in the history of the UK Disabled People’s Movement we will have the academic partners and the skills to set the research agenda, prioritising and posing our own questions on the issues of most importance to us and thereby sustaining DRILL’s work well into the future.